There is nothing good about cancer. It is frightening, disrupts lives, and affects nearly all members of our society. With honesty, integrity, and simplicity, What Every Child Needs To Know About Cancer explains this disease to young children, helping them to understand the modern world and, more importantly, the adults in their lives. Written by two dads – a child expert and an M.D. 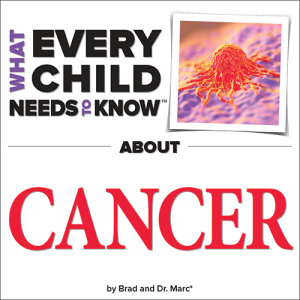 and noted oncology analyst – What Every Child Needs To Know About Cancer is the book for any child whose life has been disrupted by the disease.